What if cannabis cultivators could use artificial intelligence (AI) to help them automatically identify a problem with their plants before the problem is even visible? Our guest today is Max Unfried chief AI officer for Deepgreen.ai. 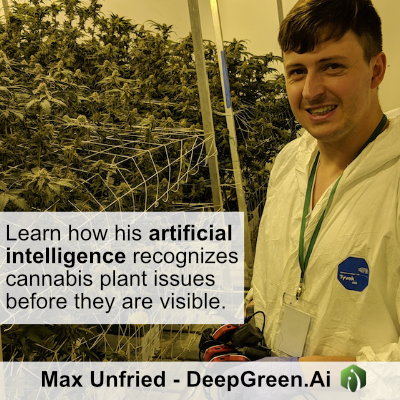 Max walks us through how AI is being leveraged in the cannabis space for the maximum benefit of growers and business owners.